"Known as the Phillips Beach Chemical Firehouse ... the building on Phillips Avenue is still standing today. For years, it was a second fire station for the town until budget contraints closed it down in the 1990s"--Then & now : Swampscott, Sue Ellen Woodcock, c2002. View of the Phillips Beach Chemical Firehouse from across the street. Image shows railroad crossing in the foreground. 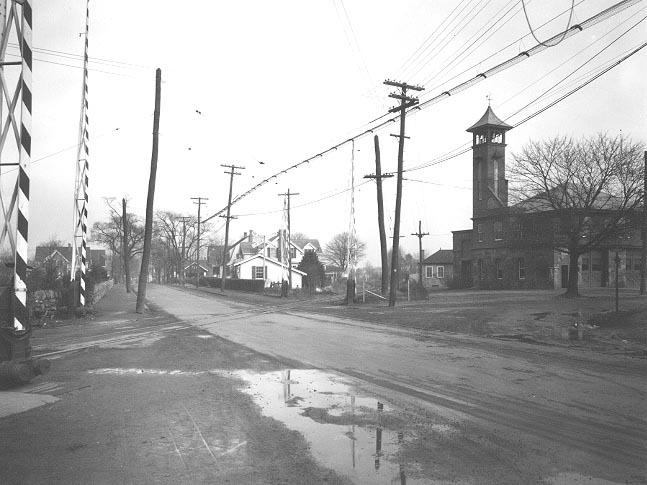 “Phillips Beach Fire Station, 1930,” Swampscott Public Library, Swampscott, Mass., accessed April 26, 2019, https://digitalheritage.noblenet.org/swampscott/items/show/156.